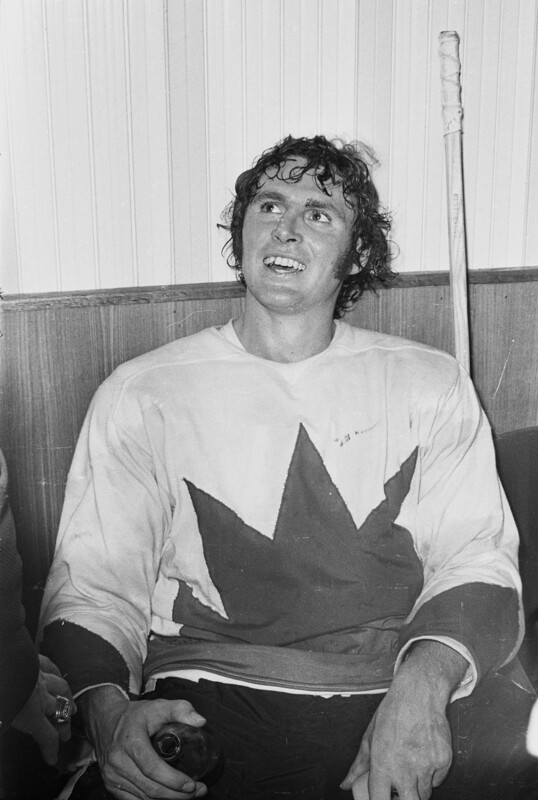 Paul Henderson ascended to the Canadian Sports Hall of Fame in 1995. Two years later, he and a famous goal he scored in 1972 were commemorated with both a stamp and a coin. Governor-General David Johnston welcomed him as a member of the Order of Canada in 2012, the same year he also got a star of Canada’s Walk of Fame in Toronto. A year later he returned to Ottawa to receive Hockey Canada’s highest honour, the Order of Hockey in Canada. The International Ice Hockey Federation elevated him into their Hall of Fame in 2013. In 2014, he added the Order of Ontario to his CV, which by then already featured an honorary doctorate of Divinity from Toronto’s Tyndale University College and Seminary. Queen Elizabeth II has been been generous, bestowing a Golden Jubilee Medal (2002). The rink in Lucknow, near where he was born in western Ontario, has a Paul Henderson Hall, and he has streets bearing his name in Erin Mills and Mississauga. Canada’s Sports Hall of celebrated him a second time in 2005, when it recognized the heroics of the entire Team Canada ’72. And if you’re reaching back that far across the calendar, is it worth mentioning, too, that in October of that momentous year, Henderson topped a national popularity poll organized by Labatt’s Breweries? Around the same time he won the Life Saver of the Month Award. Labatt’s gave him a car. From the candy company, he got a trophy and something described in contemporary accounts as a home entertainment console. All of which is to say: Paul Henderson, Hero of the Luzhniki, hasn’t been without honour in his country. What he also hasn’t been — glaringly, annually — is inducted into hockey’s holy pantheon, the Hall of Fame. It’s not as though there hasn’t been a clamour about this — noisily, annually, there has. There will no doubt be more today, as the Hall announces its 2016 inductees, which could include up to four players, along with two builders and an on-ice official. Will Eric Lindros be called to join the 268 players, men and women, whose names are already enshrined? Paul Kariya? Mark Recchi? What about Vinny Prospal, who’s in his first year of eligibility? Is it Theo Fleury’s time, and/or maybe Jeremy Roenick’s? If Henderson, who’s 73 now, doesn’t make the cut, the roar from aggrieved fans might be more than usual: with all due respect to those accomplished players, the roster of likely candidates is seen as a bit of a weedy one compared to years past. There’s no doubt that Henderson scored the most important goal in Canadian hockey history in Game 8 of the Summit Series. In fact, he scored the winner in the last three games, giving him a team-leading seven for the series. When Canada really needed a hockey hero, Henderson answered the call. Does the Hall have no sense of (and place for) Henderson’s importance as a cultural and historical icon? I guess not. At this point, it’s hard not to take the Hall’s Hendersonlessness as some kind of statement somewhere on a spectrum ranging from confident self-assurance all the way to lockjawed contrariness. Either way, nobody’s going to tell them who deserves one of their fancy rings. I was a good NHL player, but I don’t have the numbers or the All-Star status or major trophy wins to be a candidate. I feel there are many retired players more deserving than me who still haven’t been inducted. 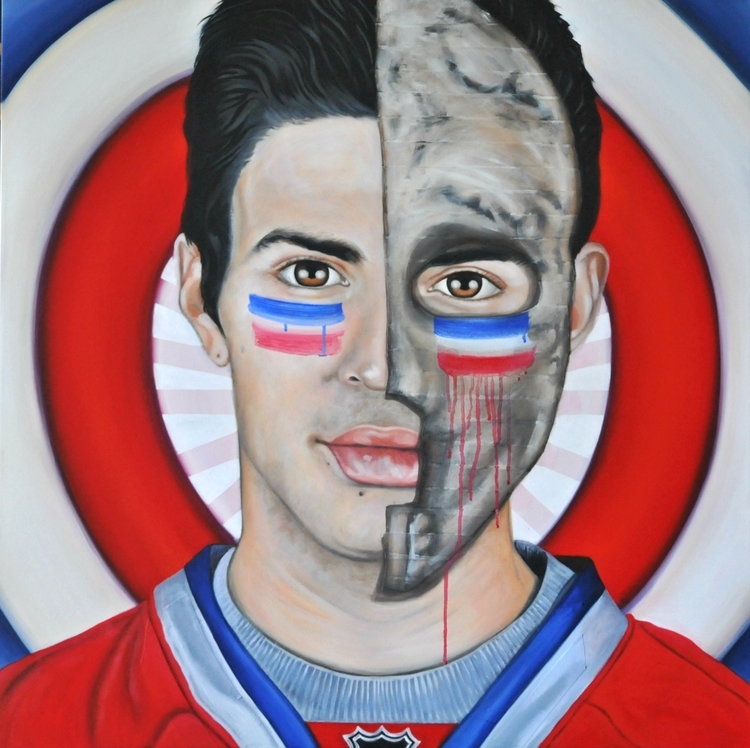 Keep Calm and Carey On: “Target Legacy” is what Victoria artist Brandy Saturley calls this painting of Carey Price, which she finished in May of this year. “An homage to Habs goaltenders,” is how she describes it, “and to an iconic Neo-Dadaist artist. Can you guess which one?” For hints and more of her work, hockey and otherwise, visit http://www.brandysaturley.com. Gordie Howe got rousing get-wells from all around the league after word started to circulate last week that he’d suffered a “serious” stroke. He was recovering — improving, the family said — at his daughter’s home in Texas. With the man himself looking on via iPad, the Detroit Red Wings paid tribute to 86-year-old Mr. Hockey ahead of their Friday-night home game against Los Angeles. 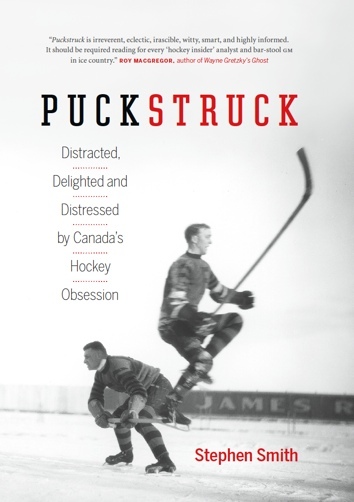 In terms of his play on the ice, even apart from his nearly superhuman longevity, Gordie was the prototype for playing a hard-nosed physical game that also incorporated a tremendous level of skill. As genuinely nice and laid back as he is off-the-ice, that’s how mean and competitive he was as a player. Stephen Whyno of The Canadian Press talked to a goaltending great, Grant Fuhr, who has an autobiography out in which he talks about, among other things, the drugs he used to take when he was playing for the Edmonton Oilers. Looking back on it, Fuhr doesn’t believe drugs hurt his performance. Showing the discipline of Champs, Habs resist the urge to score any goals at all against Oilers. Opponents seriously confused. Brilliant. Q: Did you read Roenick’s book? A: No, I didn’t. And I didn’t read Probert’s memories either. It’s not that interesting to me. Q: Will you write a book? USA TODAY: (Live blogging.) Wow, Sidney Crosby was waylaid by David Steckel. Big smack. Can you imagine the uproar, if Crosby or Alex Ovechkin were hurt seriously in an outdoor game? SIDNEY: I couldn’t even tell you what happened. DAVE: I didn’t even know it was him until I looked back. I haven’t even seen the hit yet, obviously it wasn’t intentional. I was just trying to get up to the play and he was there when I turned around I guess.